Optimal working dilutions should be determined experimentally by the investigator. Suggested starting dilutions are as follows: WB (1:500-1:2000), IF (1:50-1:200), IHC-P (1:200-1:500), ELISA (1:10000-1:20000). Fig.1. Immunofluorescence analysis of human-breast tissue. 1, Annexin I Polyclonal Antibody (red) was diluted at 1:200 (4°C,overnight). 2, Cy3 Labeled Secondary antibody was diluted at 1:300 (room temperature, 50min).3, Picture B: DAPI (blue) 10min. Picture A:Target. Picture B: DAPI. Picture C: merge of A+B. Fig.2. Immunofluorescence analysis of human-breast tissue. 1, Annexin I Polyclonal Antibody (red) was diluted at 1:200 (4°C,overnight). 2, Cy3 Labeled Secondary antibody was diluted at 1:300 (room temperature, 50min).3, Picture B: DAPI (blue) 10min. Picture A:Target. Picture B: DAPI. Picture C: merge of A+B. Fig.3. 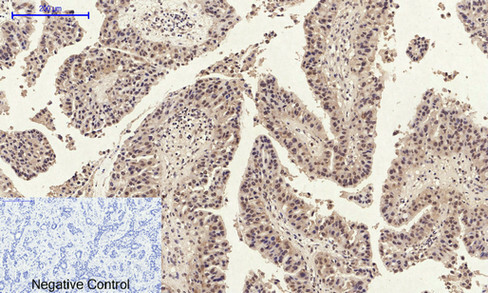 Immunohistochemical analysis of paraffin-embedded Human-kidney-cancer tissue. 1, Annexin I Polyclonal antibody was diluted at 1:200 (4°C,overnight). 2, Sodium citrate pH 6.0 was used for antibody retrieval (>98°C,20min). 3,Secondary antibody was diluted at 1:200 (room tempeRature, 30min). Negative control was used by secondary antibody only. Fig.4. Immunohistochemical analysis of paraffin-embedded human-spleen, antibody was diluted at 1:200. Fig.5. 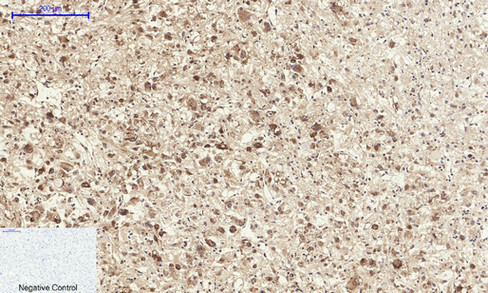 Immunohistochemical analysis of paraffin-embedded human-spleen, antibody was diluted at 1:200. ANXA1 encodes a membrane-localized protein that binds phospholipids. This protein ANXA1 inhibits phospholipase A2 and has anti-inflammatory activity. 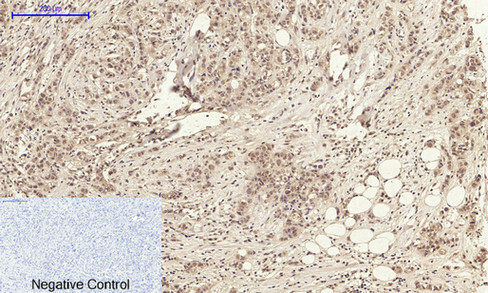 Loss of function or expression of this gene has been detected in multiple tumors. ANXA1 (Annexin A1) is a Protein Coding gene. Diseases associated with ANXA1 include Hairy Cell Leukemia and Brain Edema. Among its related pathways are Prostaglandin Synthesis and Regulation and Signaling by GPCR.